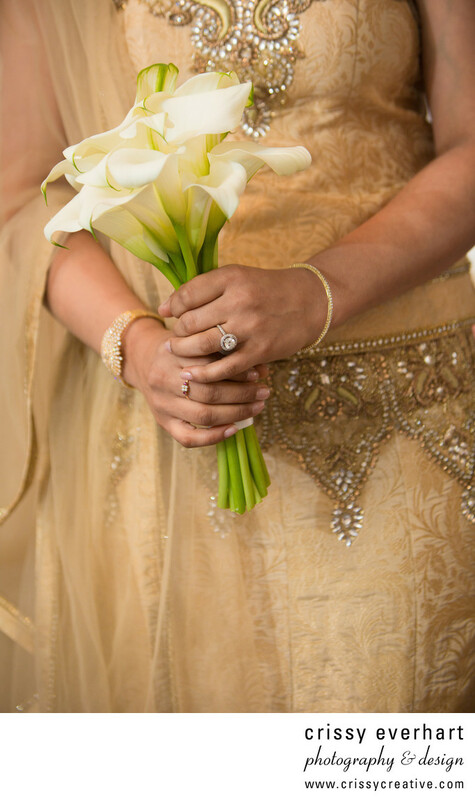 Indian bride wearing gold wedding dress with engagement ring, holding calla lilies. This photo was taken at The Willows, in Radnor. Location: 490 Darby Paoli Rd, Villanova, PA 19085.